So far Monsieur Jac Couture and little Lily have only seen the dark side of Europe. 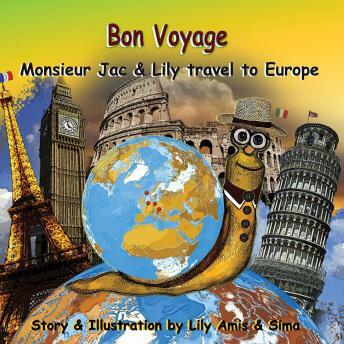 But on Lily's Birthday the two decide to take up a journey and discover the beauty and brightness of the European cities. They travel to exciting countries and take selfies with personalities such as the pope in Vatican City, the Chancellor of Germany Angela Merkel and the coolest dude and famous cook Jamie Oliver. As if this is not exciting enough, they also have an afternoon Tea with her majesty Queen Elizabeth in Buckingham Palace on her 90. Birthday and do a sightseeing tour throughout entire London with Prince George and Princess Charlotte. THE PRINTED BOOK CONTAINS 26 COLOURFUL ILLUSTRAIONS BY LILY & SIMA.